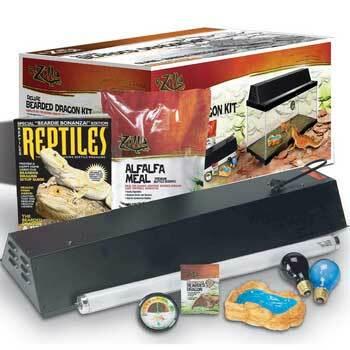 The Rzilla 20gal Kit includes everything you need for your Bearded Dragon. This 20 gallon terrarium kit takes the guess work out of setting up the proper habitat for Bearded Dragons. Recommended for Baby Bearded Dragons.